Back in 1979, I got a double LP of the biggest hits of 1978. I was only eight years old and this was a huge addition to my collection of records. I played the album a lot and those tracks of 1978 have all become engrained in my memory. In recent years I have become less interested in LP's and more interested in singles, so it's only logical that I should buy the singles from that LP. 'Angel of the morning' was originally a hit in 1968 for Merrilee Rush. Later versions were recorded by Nina Simone, Juice Newton, P.P. Arnold, Olivia Newton-John, The Pretenders/Chrissie Hynde, Dusty Springfield, Mary Mason, Melba Montgomery, and Billie Davis. 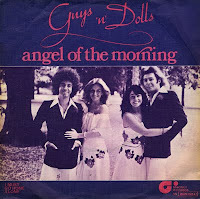 Guys 'n' Dolls released their version in November 1977, and had a hit with it at the turn of the year. 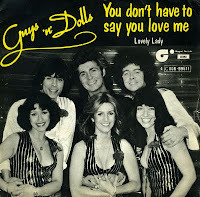 In 1976, they released a cover version of 'You don't have to say you love me', a song made famous ten years before by Dusty Springfield. 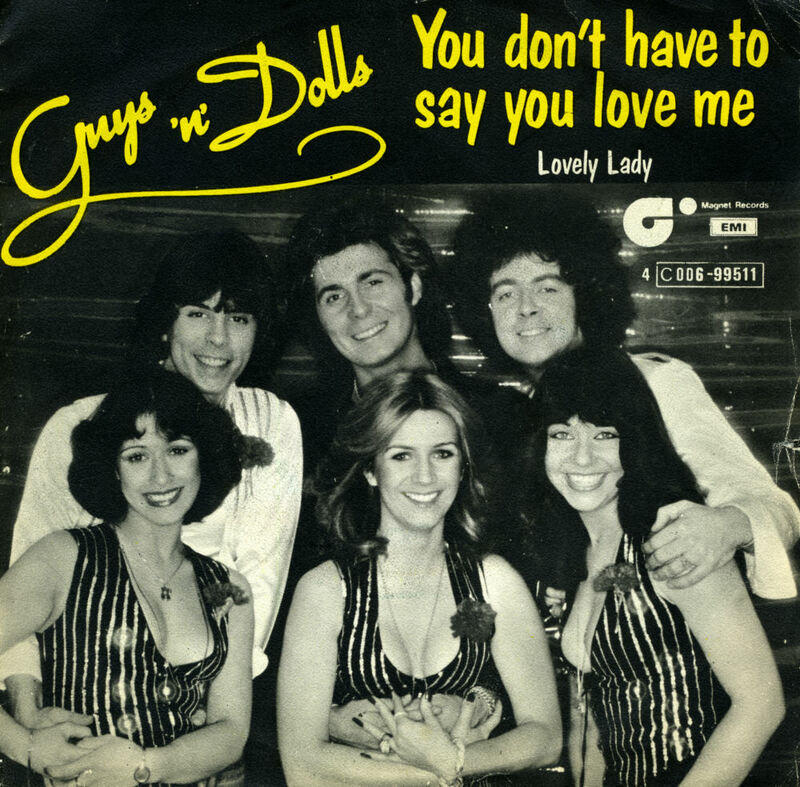 Their version reached number 5 in the UK singles chart and number 10 in the Dutch Top 40.